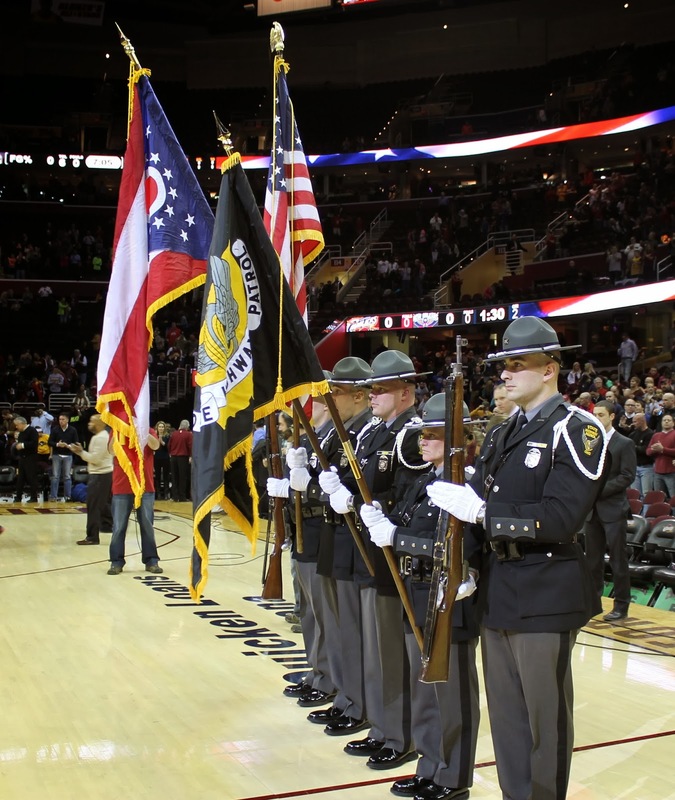 On Tuesday, January 28th 13,985 fans came out to Quicken Loans Arena in Cleveland Ohio to support and honor Ohio Law Enforcement in the 2nd Annual Cleveland Cavaliers Law Enforcement Appreciation Night. The Cavaliers played a great game against the New Orleans Pelicans, but unfortunately lost with a final score of 100-89. During the pre-game festivities, the Ohio State Highway Patrol Honor Guard presented the colors during the National Anthem. In addition, the Cleveland Police Museum sponsored 25 children from the greater Cleveland area that were a part of the "High 5" tunnel, wherein the children got the opportunity to stand on the court and high-five Cavaliers players as they took the floor for pre-game warm-ups. Each participant received a special t-shirt and got to interact with players before the game. 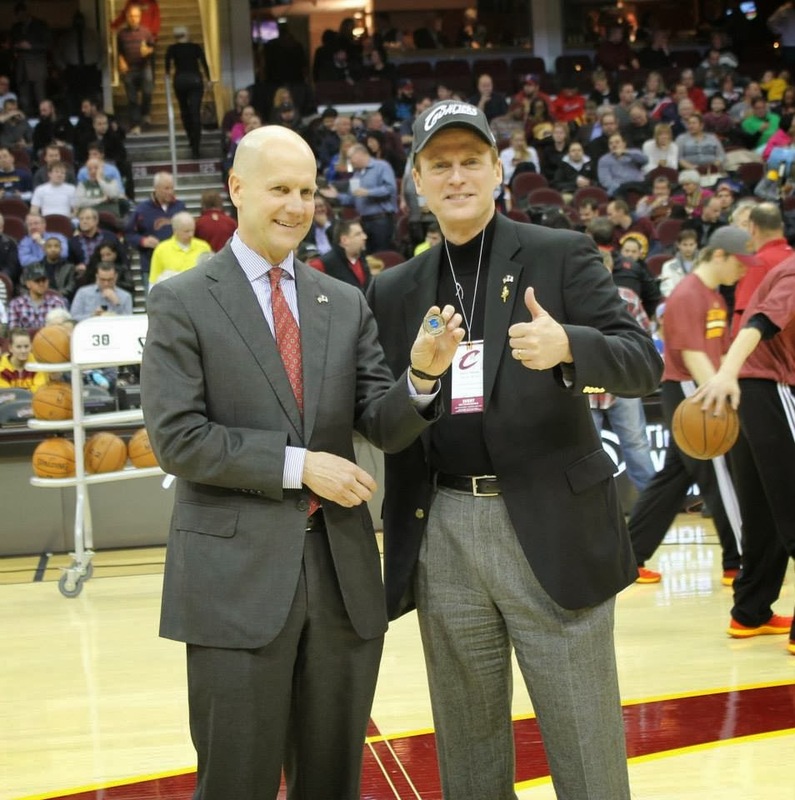 During halftime, a special ceremony took place at center court where Memorial Fund Chairman & CEO Craig Floyd presented the Cavaliers' CEO Len Komoroski with a 2014 Memorial Fund Challenge coin and Memorial wall paper weight. Representative from the following organizations were hosted in the owners suite of the Cleveland Cavaliers/Quicken Loans Arena: Ohio Chiefs of Police, Ohio Fraternal Order of Police, Cuyahoga County Chiefs of Police, Cleveland Police Museum, Cleveland Police Department, Cleveland Clinic Police Department, Akron Police Department, Ohio DARE, Ohio HIDTA, Ohio State Highway Patrol, TSA and U.S. Secret Service. Our thanks to everyone who attended and helping promote the event. The Memorial Fund would like to extend a special thank you to Cleveland Cavaliers owner Mr. Dan Gilbert, CEO Len Komoroski, Director of Security and Safety Brian Herbert and Account Representative David Kodish for their support to the Memorial Fund and for helping to put together a great event. On Tuesday, January 27th, the Memorial Fund hosted a Recorded Memorial Tribute event honoring three fallen law enforcement professionals—FBI Special Agents Martha Dixon Martinez and Michael Miller, and DC Metropolitan Police Department Sergeant Henry Daly. Tuesday's event featured a screening of a recorded tribute to each of the officers. The surviving families of the officers were in attendance, along with distinguished guests FBI Director Jim Comey, DC MPD Assistant Chief Peter Newsham and Thomas Bethel, National President of the American Maritime Officers, the sponsor of the recorded tributes. On Thursday, January 16th, Memorial Fund Chairman & CEO Craig Floyd delivered the keynote address at the Integrated Justice Information Systems Institute (IJIS) Institute Badge & Tech Benefit Dinner. The IJIS Institute is a non-profit consortium of industry’s leading information technology companies working collaboratively with local, state, tribal, and federal law enforcement agencies to provide technical assistance, training, and support services for information exchange and technology initiatives. They promote public-private partnerships to foster information sharing to assist with public safety and homeland security. Each year since 2011, the IJIS Institute has hosted the Badge & Tech Benefit Dinner in conjunction with the National Symposium. At this event, IJIS Institute Members and Associates come together to benefit a non-profit organization dedicated to making the public safer and more secure. This year, the IJIS Institute chose the Memorial Fund as the non-profit that benefitted from the proceeds to the event. On Monday January 20, 2014, law enforcement officers from Tennessee, Kentucky and Alabama came together for the inaugural Nashville Predators Law Enforcement Appreciation Night at Bridgestone Arena in Nashville Tennessee. The Predators defeated the Dallas Stars 4-1 in an exciting game. Through a special purchase incentive, 350 law enforcement tickets were sold. Proceeds from ticket sales raised approximately $3,500 to help build the first ever National Law Enforcement Museum. 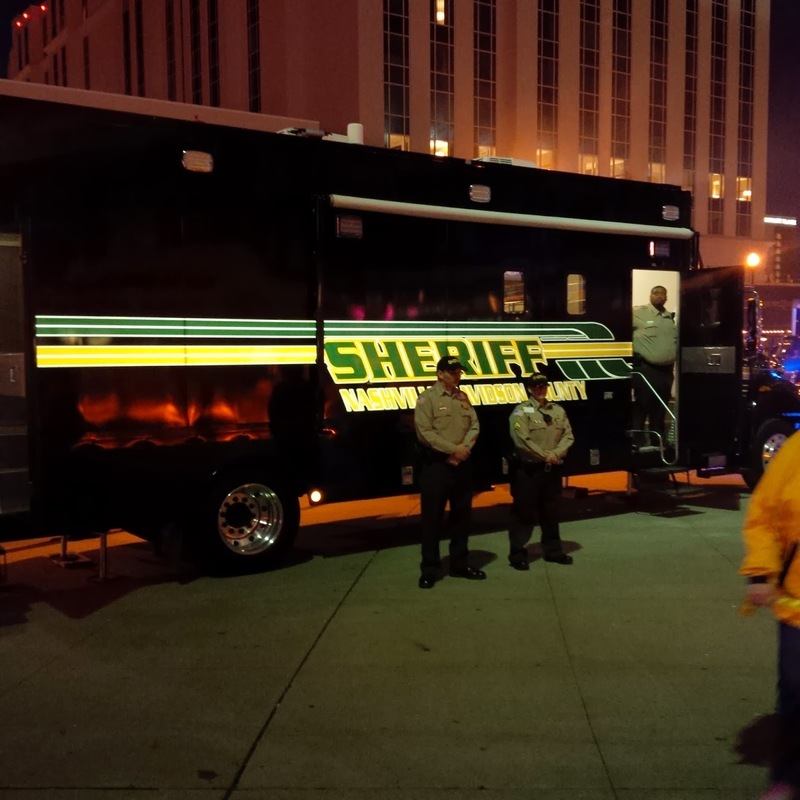 Before the game, the Tennessee Highway Patrol Mobile Command Unity and Nashville (TN) Metro Police Department SWAT Vehicle and Bomb Squad displayed their vehicles outside the stadium for the public. Other departments that displayed police cars included the Brentwood (TN) Police Department, Knoxville (TN) Police Department, Nashville International Airport Police Department, and the Nashville (TN) Metro Police Mounted Horse Unit. 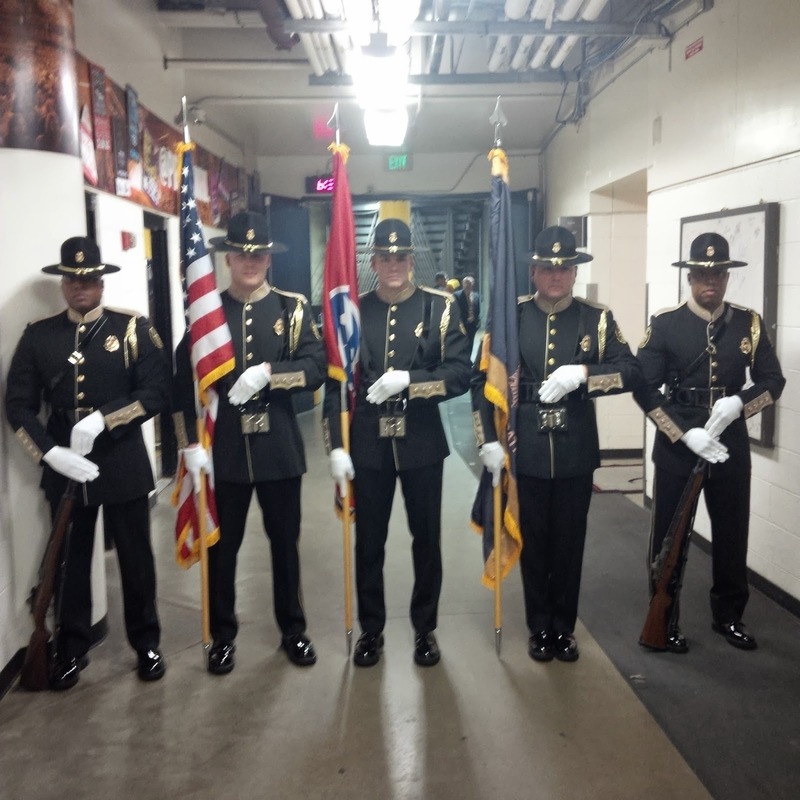 During the game, the Tennessee Highway Patrol Honor Guard presented the colors and the Tennessee Association of Chiefs of Police (TACP) hosted area state, local and federal law enforcement organizations, executives and their families in a VIP Suite. 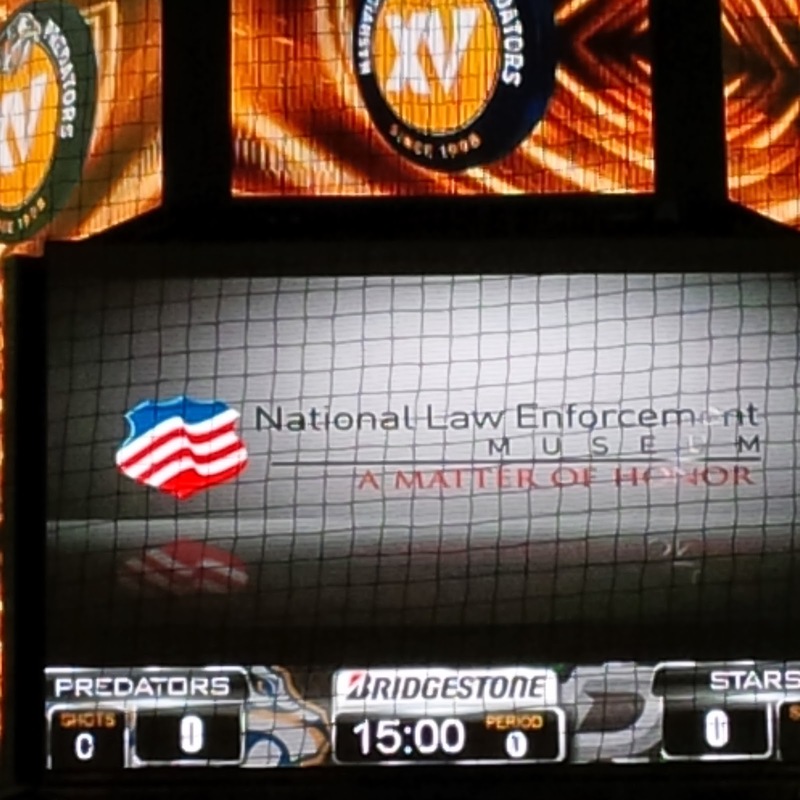 The Predators and the Memorial Fund are already planning for a 2nd Annual Law Enforcement Night this coming fall. A big thanks goes out to Maggie Duncan and the Tennessee Association Chiefs of Police (TACP) and Nashville Predators Account Representative Jacob Bajema for their assistance in putting on this successful event! 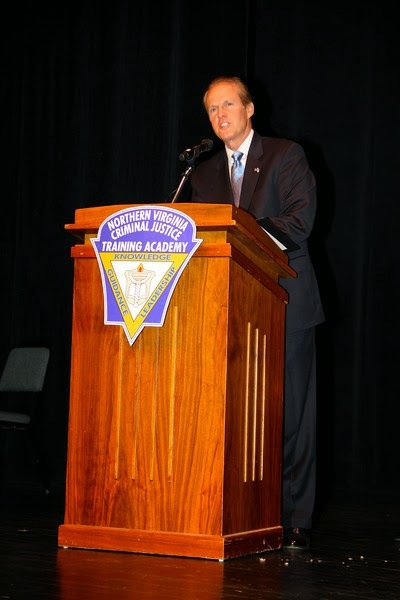 On Friday, December 20th, Memorial Fund Chairman and CEO Craig Floyd was given the honor of speaking during the graduation ceremony of Northern Virginia Criminal Justice Training Academy, Basic Recruit Class, Session 129. 71 police officers and deputy sheriffs received diplomas and certification as law enforcement and correctional officers during the ceremony. During the ceremony, Craig had the unique opportunity to present a very special graduate with her graduation certificate. Ashley Bowman was just three years old when her father, Virginia State Police Trooper Johnny Bowman, was killed in 1984. 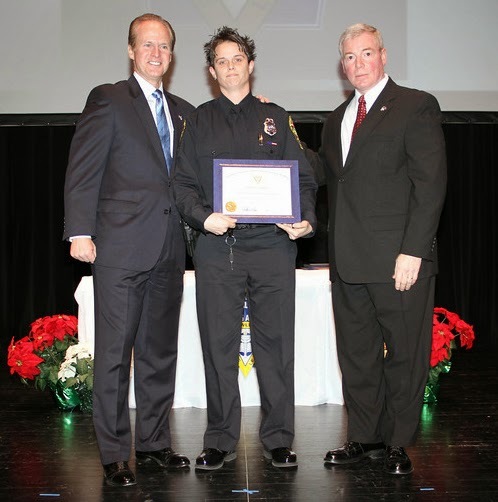 Ashley (known to many as Nikki) will become a police officer with the Manassas Police Department. 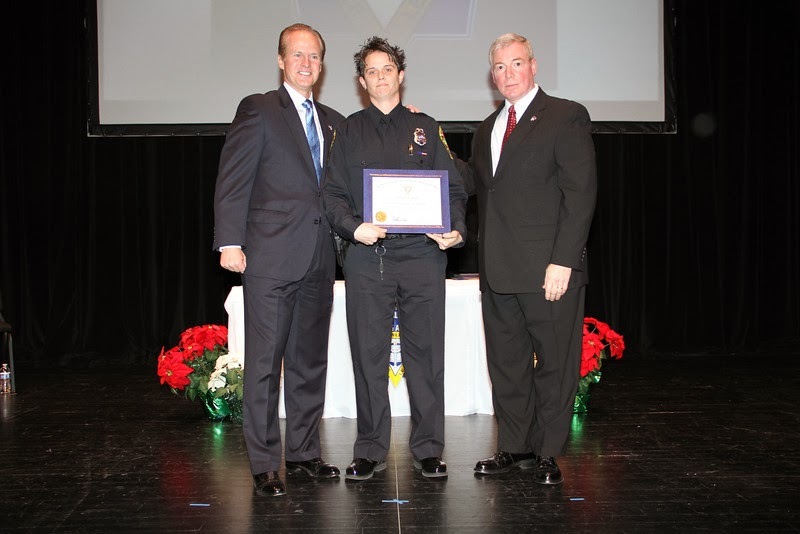 In presenting Officer Bowman with her graduation certificate, Craig stated, "There is no greater tribute she, or any of you, could pay to her father and all those who have fallen in the line of duty than to follow in their footsteps and to carry on their vital service and deep devotion to public safety." Mr. Floyd concluded his speech with these poignant words, "As long as there are men and women among us, like all of our graduates here today, who are willing to put their lives at risk for the safety and protection of others, there is truly great hope for our nation and the future of our children."